January 1st has come and gone. And while some of us are deep into our New Year resolutions, others are already looking forward to next year’s reset button. Luckily for those who fall into the latter category, a new beginning is awaiting just around the corner. The Lunar New Year – also referred to as Chinese New Year – begins on the new moon, which falls on February 16, but is celebrated for weeks surrounding the date. This is a joyous and lively time, focused on honoring the past and preparing for future fortune. Each year is associated with a zodiac animal according to Chinese astrology and, this February, we will enter The Year of the Dog. 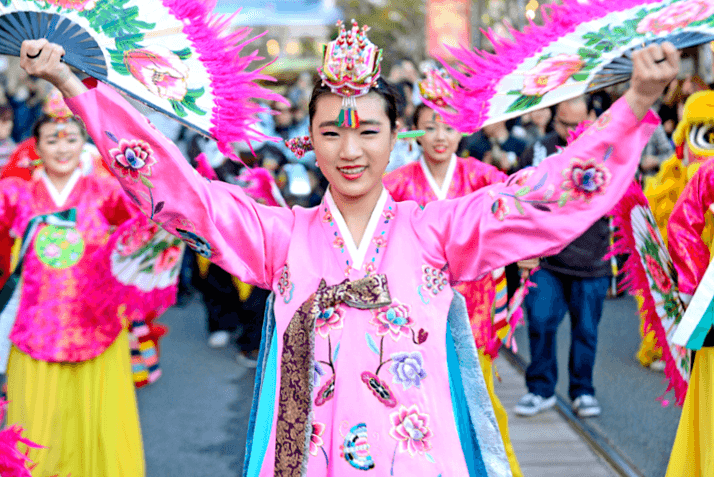 While the festivities are traditionally observed by the Chinese culture, many other Asian countries embrace this exciting and celebratory holiday. 1. The Americana at Brand kicks off The Year of the Dog during our Lunar New Year Celebration on February 11 from 2-5PM. 2. Come see America’s Best Dance Crew – Quest Crew – perform for the crowds! 3. Experience the traditional Dragon and Lion dances. These traditional elements of Chinese Lunar New Year celebrations incorporate loud drumming and clashing of symbols that chase away bad luck and evil spirits from the previous year. Live Dragon and Lion dance performances will begin at 2PM. 4. See the astounding Hanging Lantern. Floating above Americana Way near Nordstrom and Barnes & Noble, you’ll find our enchanting and elegant 14-foot red lantern, adorned with gold leaf calligraphy and gorgeous gold tassels. 5. Visit The God of Prosperity, a 12-foot tall, custom-sculpted, hand-painted figure costumed in brilliant colors. He stands atop a pile of gilded ingots and I Ching coins, and his robe is emblazoned with the auspicious five-bat symbol, pronouncing Abundant Good Luck. 6. Enjoy the flavors of the festivities! Sample gourmet food and cultural bites. 7. Receive traditional red envelopes from The God of Wealth. These include little surprises and will be gifted throughout the month of February. 8. Watch local artists create traditional calligraphy and sugar paint masterpieces! 9. Experience a demonstration from Master Shi, an award-winning folk dough figure artist. He will share a 4,000-year-old tradition for Chinese New Year festival celebrations. 10. Be surprised by additional treats and experiences to ensure a year of good luck and fortune! Be sure to join us at The Americana at Brand’s Lunar New Year celebrations for time-honored traditions to honor the past and to give thanks for our blessings.